My better half silently spares the kitchen for me during weekends. He has been preparing meals for us on weekdays, he got to rest on weekends. 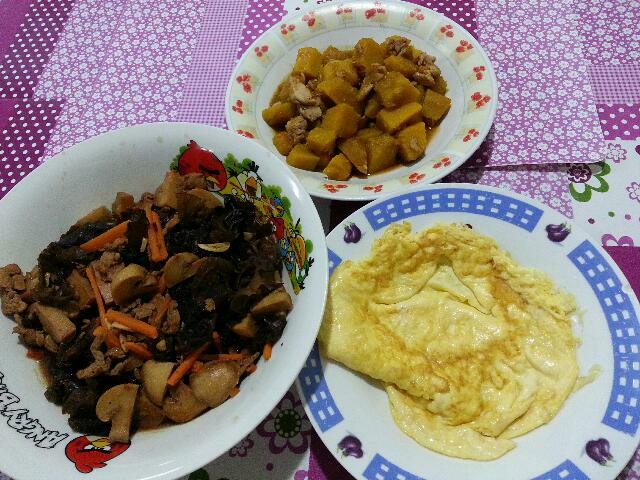 I am not a good cook, just try the best I can to prepare meal for my loved ones on weekends. fried eggs is their all time favourite, they complained my fried egg was tasteless, that's my cooking : less salt, no MSG. 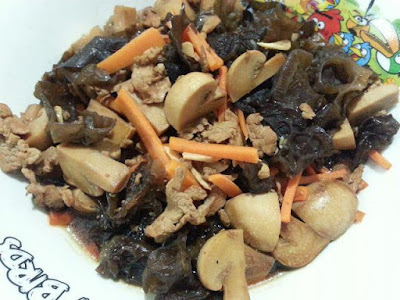 black fungus with lean pork, carrot and button mushroom, my kids only picked on the lean pork and button mushrooms..What's for next weekend ? yet to figure out. I also use less salt at home. Totally no MSG in my kitchen. 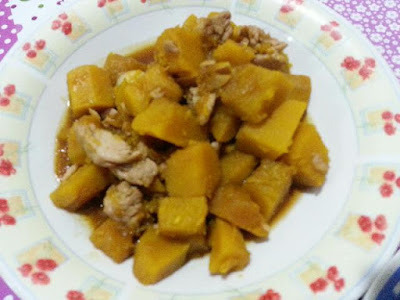 A nice cooking attempt in the kitchen. I love all your dishes as I love to eat eggs, pumpkin and black fungus. I love eating pumpkin, too bad not a lot of people I know enjoy it so I only eat it when I go out to eat chap fan. Haha poor cook! So many complaints.